Mary has a B.A. and B.Ed. from Queen’s University. She has completed Foundations in Anthroposophy Part I and an intensive week of Waldorf Early Childhood training through the Rudolf Steiner Centre Toronto. Mary joined the Mulberry Waldorf School faculty in 2001 and is an alumni parent. Holly has a B.A. (English Literature) from Dalhousie University, M.A. (Library and Information Science) from University of Western Ontario, and a diploma in Early Childhood Education from Northwest College. She completed Foundations in Anthroposophy and Waldorf Early Childhood Teacher Certification at the Rudolf Steiner Centre Toronto. She joined the Mulberry Waldorf faculty in 2008 and is an alumni parent. Janie has a B.A. from Concordia University, a Culinary Certificate from Niagara on the Lake, and a diploma in Early Childhood Education from St. Lawrence College. She completed Foundations in Anthroposophy Part I through the Rudolf Steiner Centre. Janie joined the Mulberry Waldorf School faculty in 2014 and has a son in Grade 8. 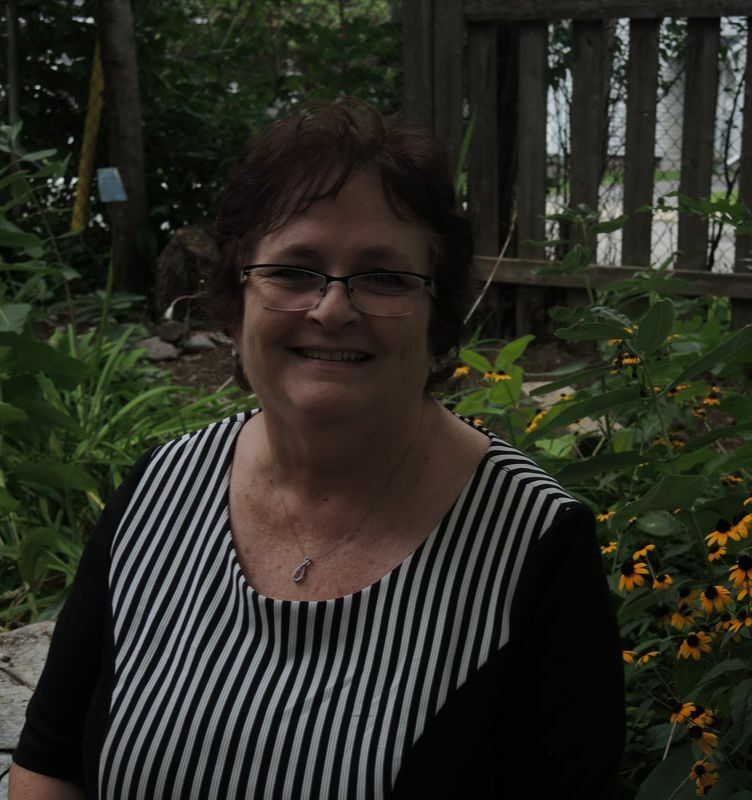 Sue has a diploma in Early Childhood Education from St. Lawrence College, a Developmental Service Work Diploma from Algonquin College, and a certificate in Infant Mental Health from York University. Sue joined the Mulberry Waldorf School faculty in 2018. Jenny has a B.Sc. (Biology) from McMaster University, and a B.Ed., M.Ed., and Ph.D. in Education from Queen's University. She has completed Foundations in Anthroposophy Part I and is currently completing Part II. Jenny joined the Mulberry Waldorf School faculty in 2010. She is an alumni parent and has two children in the grade school. Doug has a diploma in Early Childhood Education (RECE) from St. Lawrence College. Doug completed Foundations in Anthroposophy Part I and is currently completing Part II. Doug has been part of the Mulberry Waldorf School faculty since 2013. Tammy has a B.A. from Brock University, and a B.Ed. and Certificate of Experiential and Outdoor Education from Queen’s University. Tammy completed Foundations in Anthroposophy and Waldorf Early Childhood Teacher Education at the West Coast Institute for Anthroposophy, as well as Collaborative Leader Training and Part I of the HEART training through the Rudolf Steiner Centre Toronto. Tammy is a member of the Faculty of Part-Time Waldorf Early Childhood Teacher Education at the Rudolf Steiner Centre Toronto. She joined the Mulberry Waldorf School faculty in 1999 and is a former Faculty Chair. Tammy is an alumni parent of two daughters. 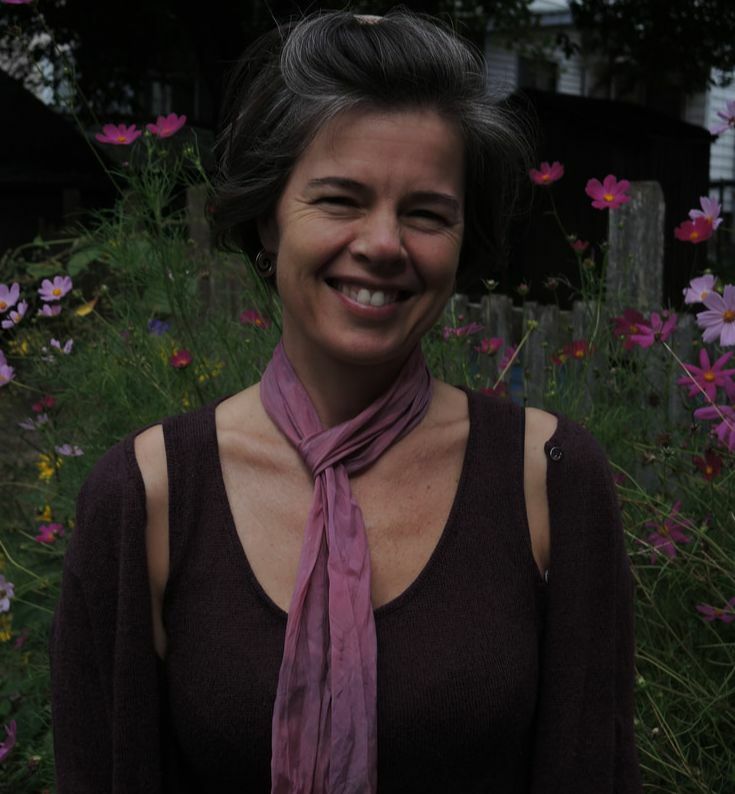 Kyra has a Waldorf Early Childhood Teacher Education Certificate from the Rudolf Steiner Centre Toronto and has completed Foundations in Anthroposophy Parts I and II. She is the Founder and Board Chair of a Waldorf/Camphill initiative, Kingston Mosaic. She joined the Mulberry Waldorf School Faculty in 2010. Charlotte has a B.A. from the University of Manitoba, a B.Ed. from the University of Victoria, and Waldorf Early Childhood Training from the West Coast Institute for Anthroposophy. She has completed Remedial Teacher Training in the Netherlands, HEART training at the Rudolf Steiner Centre Toronto, and has taken several courses in reading remediation through the Reading Clinic in Kingston. Charlotte has been part of the Mulberry Waldorf School faculty since its opening day, is a former Early Childhood and Grade School Teacher, and is currently a mentor for the Educational Support Program. Mhairi has a B.A. from the University of Toronto and completed Waldorf Teacher Training through the Rudolf Steiner Centre Toronto. She has an AMI Montessori Teaching (preschool) Diploma. She completed Foundation Studies in Anthroposophy and one year of Visual Arts Studies at Emerson College in the U.K. Prior to joining the Mulberry Waldorf School faculty in 2012, Mhairi was a Class Teacher at The Acorn School, a Waldorf-inspired school in the U.K. She has two children in the grade school. Gillian has a diploma in Early Childhood Education from St. Lawrence College and completed Foundations in Anthroposophy Parts I and II through the Rudolf Steiner Centre Toronto. She joined the Mulberry Waldorf School faculty in 2005 and has a child in Kindergarten. Holly has a B.A. from Trent University and a B.Ed. from Queen’s University. She has completed two intensive training weeks at the Rudolf Steiner Centre Toronto. Holly joined the Mulberry Waldorf School faculty in 2017. Juliana has a B.A. from Trent University and a B.Ed. from Queen’s University. She has completed one week of intensive training at the Rudolf Steiner Centre in Toronto and holds an Orton-Gillingham Part I Certificate for reading remediation. Juliana joined the Mulberry Waldorf School faculty in 2016. Carlina has a B.Sc (Mechanical Engineering) from Queen’s University and she holds a Honourary Waldorf Teacher Certificate, Waldorf Applied Arts Teacher Certificate and New Adult Educator Certificate from Rudolf Steiner Centre Toronto. Carlina is a co-founder of Mulberry Waldorf school, is a former Faculty Chair and Handwork Teacher, and is an alumni parent. Maureen has a B.A. and B. Ed. from Queen's University. She completed Ministry of Education courses in Music, Reading, and Intermediate Education during her 29-year teaching career with the Upper Grand District School Board. Maureen joined the Mulberry Waldorf School faculty in 2018. Maria has a B.Ed at the University of Buenos Aires, Argentina, a M.Ed. at Mount Saint Vincent University. She has taken multiple courses at University of Ottawa for French Methodology and has taught French, English and Spanish as second languages. Maria joined the Mulberry Waldorf School faculty in 2018 and has a child in the Morning Garden Nursery program. Alex has a B.Ed. from Queen’s University with a specialization in outdoor education. He has a B.A. (Environmental Studies) from York University and has taken multiple courses in contemporary music and jazz guitar from Humber College and Carleton University. Alex joined the Mulberry Waldorf School faculty in 2018. Elena has a B.A. (Psychology) from McGill University. Elena is a Mulberry alumnus (Grade 8, 2010). She joined the faculty in 2018. Ramsey has a B.Sc. (Geography) from Trent University, a Geographical Information Systems Applications Specialist Certificate from Fleming College, and a B.Ed. from Queen’s University. Ramsey has been a secondary school teacher and Department Head for more than a decade. Ramsey was the Games and Physical Education Teacher in 2017-2018. He is an alumni parent and has two children in the grade school. Peelu has a B.Sc. (Biochemistry) from Laurentian University and a M.Sc (Biochemistry) from Queen’s University. She joined the Mulberry Waldorf School staff in 2008, was formerly the Board Chair, and is an alumni parent of two children. Lois has a Business and Marketing diploma from St. Lawrence College. She worked in the banking and financial services industry for almost 15 years. Lois joined the Mulberry Waldorf School staff in 2012 and has two children in the grade school. 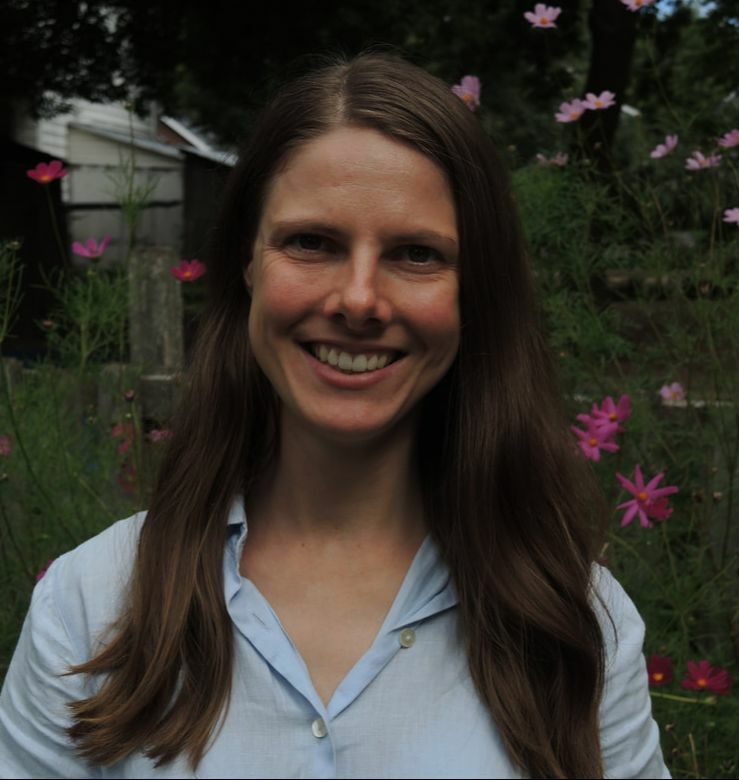 Tove has a B.Sc in Computer Science from Molde College, Norway, and a Master’s of Information Science degree from University of Pittsburgh, U.S.A. She joined the Mulberry Waldorf School staff in 2018. She was formerly on the Board of Mulberry Waldorf School, and is an alumni parent of three sons. Sarah has a diploma in Social Services from St. Lawrence College and has worked in the Kingston community as a mental health support worker and advocate for 5 years. She is currently continuing her studies in social work and psychology. Sarah joined the Mulberry Waldorf School staff in 2018. Tim has a B.A. from the University of Western Ontario, continued studies at Trent University, and has a B.Ed. from Queen's University in the Artist in Community Education program. Tim joined the Mulberry Waldorf School staff in 2011 and currently has a child in the Kindergarten program. Melinda has a M.A.T.S., M.Sc., B.Ed., Hon.B.Sc., and A.R.C.T. She has been the violin teacher at Mulberry Waldorf School since 2013. Margaret has a B.Sc. (Occupational Therapy) and a B.Ed. from Queen’s University. She has completed Part I of Foundations in Anthroposophy through the Rudolf Steiner Centre Toronto. Margaret joined the Mulberry Waldorf School faculty in 2011 as a Kindergarten Teacher and has been the Choir Teacher since 2015. She is an alumni parent.